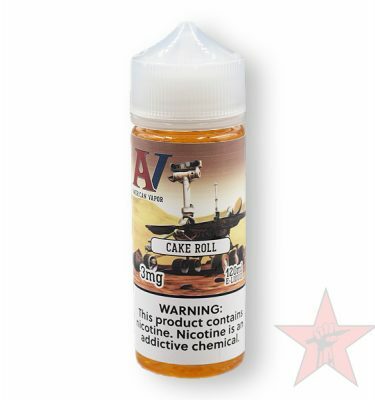 This Vanilla takes hints of Cinnamon and rounds out into an all-day-vape for dessert fans! My new favorite! Great juice! Awesome juice it reminds me of fried Mexican ice cream very delicious can taste all the flavor profiles they listed definitely a repeat buy for me YUMMY!!!!! The best flavor I’ve found ever! No exaggeration. From eugene oregon, visiting phoenix, now I’m hooked and dont want anything else so I order online. All day every day vape for sure. If you like desserts you wont be disappointed! Great flavor,and very unique. Rad Star has done it again! Great rich layers of flavor. Wow! Just awesome! This is by far my favorite flavor the taste is amazing. The fact the price is right to order on like is a big help for me. I run through the it so fast I need to order every week!! Awesome Churo kind of flavor. I vape it with a TFV8 tank and an octuple coil at 110 watts. I get a really nice cinnamon flavor on the inhale, a warm airy dough flavor as the cinnamon wears off and a killer cinnamon toast crush milky flavor on the exhale and after taste. This stuff is awesome! Bavarian cream, french vanilla, and malted milk.